As we all know, Thanksgiving is the time of year where we reflect on what has happened throughout the previous year and take the time to appreciate the things we are most thankful for. That can be applied to Major League Baseball as well. Although not as important in the grand scheme of things as being thankful for family, health, etc., there are many things each and every baseball team can be thankful for. Whether they’re thankful for what has already happened in 2016 or of the things likely to come in 2017, every team has a lot to be thankful for. The career David Ortiz had for the Red Sox was truly remarkable, but Boston appears to have someone ready to fill his shoes following his retirement. Mookie Betts was good in 2015, but he was astounding in 2016, hitting 31 homers and finishing second to Mike Trout in American League MVP voting. As such, David Ortiz will certainly be missed at Fenway, but Boston fans should be thankful that they have a player like Mookie Betts set to keep the Red Sox in contention in the years to come. While there are a number of people who feel the Orioles would be best suited to trade away Zach Britton while his stock is high following the historically great season he had as a reliever in 2016 — recording the lowest ERA (0.54) ever for a relief pitcher — retaining him for 2017 is extremely important in my mind. The Orioles should be thankful that they have a closer like Britton who they can count on to slam the door in the ninth. Pitchers like him are very rare, and teams with a strong closer tend to fare better than those who don’t. It remains to be seen whether the Blue Jays can keep Edwin Encarnacion or Jose Bautista as part of their lineup heading into next season (it’s looking less and less likely as of late), but regardless, they did a lot for their club recently by signing veteran DH Kendrys Morales. Blasting 30 home runs for the Royals last season, Morales joins a roster that’s guaranteed to contain power bats Troy Tulowitzki and Josh Donaldson. If nothing else, Toronto should be very thankful they don’t have to pitch to their own ball club. Gary Sanchez was virtually an unknown heading into the 2016 season, but by the end of the year he was a household name. Bursting onto the scene in August, Sanchez proceeded to set a number of rookie records, winding up with 20 home runs for the season. Although Sanchez didn’t win Rookie of the Year, the Yankees should be thankful that there’s more where he came from. With top prospects such as Aaron Judge and Clint Frazier looking to make impacts in 2017, Sanchez appears to be the tip of the iceberg for the Yankees’ resurgence. The Rays may have finished dead last in the American League East in 2016, but they still had some fantastic performances. Their pitching wasn’t that great throughout the year, but offensively they were actually fairly decent. Evan Longoria managed to hit 36 bombs, with Brad Miller and Corey Dickerson breaking out to have career highs in homers, at 30 and 24 (tying a career high), respectively. If the Rays happen to climb up the standings next season, the Rays fans will have players such as Longoria, Miller and Dickerson to be thankful to. With Bryce Harper seeing a drastic drop off from his 2015 MVP-winning numbers, and Stephen Strasburg suffering through a series of injuries, the Nationals could have very easily fallen apart this year. But just the opposite, they won the division with ease. Although it was undoubtedly a collective effort, the breakout seasons of Daniel Murphy and Tanner Roark helped tremendously. With Murphy hitting .347 with 25 homers and Roark leading the team with a 2.83 ERA, the Nats have them to thank in large part for making the postseason in 2016. The Mets were expected to keep pace with the Nationals all season long, having things come right down until the very end for who would win the division. But that’s not close to what happen. Due to Jacob de Grom, Steven Matz and Matt Harvey all struggling in 2016, only Noah Syndergaard lived up to the billing, and that wasn’t nearly enough to overtake the Nationals. But the Mets should be very thankful that all of those pitchers should be back to form in 2017. If all goes as planned, the Mets should be very good again next season. We have known about the stupendous power of Giancarlo Stanton for some time, but after the 2016 season Marcell Ozuna put together, people are beginning to take notice of his big bat as well. Though no one hits them quite like Stanton, Ozuna hit 23 homers for the second time in his career this past year and made his first All-Star team. Stanton will continue to be the top talent on the team as long as he continues to stay healthy, but the Marlins should be thankful they have a great co-power threat such as Ozuna in their lineup on an everyday basis. There hasn’t been a lot for the fans of the Phillies to be thankful for over the past few seasons, especially after being so dominant for so many years not too long ago. But Tommy Joseph just might change that for them in the years to come. Losing long time Phillies star Ryan Howard is certainly a big blow to their offense, but Joseph proved in 2016 that he is talented enough to fill the big shoes left at first by the departing Howard. Hitting 21 homers this past season, Joseph should fit right in and continue to post solid numbers for Philadelphia. One of the worst teams in all of baseball in 2016, the Braves are all set to move across town to their new ballpark in 2017. But while that’s exciting for both the team and their fans, one of the things they should be thankful for is the additions of veteran pitchers R.A. Dickey and Bartolo Colon so far this offseason. Though they aren’t the type of pitchers who can turn a team around, they are still impactful pitchers who will give the Braves solid innings and give their rotation a bit of a boost as soon as the season begins in early April. The fans of the Indians have every right to be disappointed that they made it all the way to game seven of the World Series only to lose in extras, but there is a very big silver lining that should cause the Indians to feel thankful for what may come in 2017. The fact that Cleveland was able to make the World Series without Michael Brantley or other key figures from 2015 should give their fans hope for 2017. While the Indians didn’t break their 68-year Fall Classic Championship drought this year, they very well could attempt to secure a title yet again in 2017. After making six straight All-Star teams from 2009 to 2013, Justin Verlander simply hadn’t been the same pitcher over the last two seasons. With a combined ERA of 4.08 over 52 starts made in the aforementioned seasons, Verlander was no longer a feared pitcher in the Tigers’ rotation, at least not on the same level he had once been. But 2016 saw Verlander breaking out again, which is something Tigers’ fans should be thankful for. Though 2016 saw the Tigers failing to make the postseason, 2017 looks promising if Verlander continues to thrive. There aren’t many true Aces around baseball, merely a lot of really good pitchers. But Danny Duffy, who had shown signs of greatness over the last few seasons, showed even more such signs in 2016. With the best team ERA of the entire Royals’ rotation, Duffy truly made his presence known in August in one start against the Rays. In that game, Duffy struck out a whopping sixteen batters in his one-hit masterpiece. Even if the Royals fail to make the postseason again in 2017, they should be thankful to have a guy like Duffy ready to lead the staff. Not too much went right for the White Sox this year, but one of the bright spots for them was undoubtedly Todd Frazier. Although Frazier has always been a great player, his career-high 40 home runs in 2016 truly cemented him as one of the best offensive third basemen in baseball as well as a player the White Sox should give thanks for possessing. His defense was also very solid, making him a valuable part of Chicago’s lineup heading into next season. If Frazier can continue to smack the ball, he should be a big contributor for the foreseeable future. The Twins should be very thankful to have Brian Dozier as the best offensive second baseman in baseball. Following an amazing 2015 campaign, very few thought Dozier could possibly get any better. But he proved them all wrong this season, hitting an MLB-record 42 homers at second. With that kind of pop, Dozier easily led the Twins, who had a good amount of struggles offensively throughout their poor season. Nothing is guaranteed from one season to the next, but Dozier being great again in 2017 is pretty much a given. It’s a safe bet to assume that every Cubs fan will list their team finally winning a World Series title as something they’re thankful for from 2016, and understandably so. After over a century of disappointment, the Cubs were able to break through and win their first championship against the Indians early this month. Although getting to the World Series is very difficult, regardless of if the Cubs ever make it back again the fans of their club will assuredly remember how they felt upon the final out of game seven for the rest of their lives. Adam Wainwright proved in 2016 that he can still compete at the major league level, but when it comes to absolutely dominating the opposing squad, it falls to Carlos Martinez and the youngster Alex Reyes for the Cardinals next year. They each have a blazing fastball in their arsenal, and the Cardinals should be thankful that they have each of them ready to man the top of St. Louis’s rotation moving forward. Their lineup will likely be good again in 2017, but what will ultimately help the Cards succeed next season falls on their rotation. Gerrit Cole was good in 2016, and Ivan Nova surprised many with his performance, but what will truly enable the Pirates to become contenders once again is their young pitching stars set to make big impacts. While both Jameson Taillon and Tyler Glasnow got some big league experience last year, they should each be watched very closely for their potential to have breakout seasons in 2017. Though the Pirates didn’t make the postseason this year, they have a great potential to return next season, as well as the many seasons to come after that. It isn’t all that rare to see a player have a breakout season and excite people with their future potential, only to fall apart and never have a year close to their pinnacle year ever again. There were some thoughts to that being the case with Chris Carter, who hit 37 homers in 2014, only to launch a mere 24 the very next year. Thus, heading into this season, how he would perform in 2016 was very much up in the air, but he came through and blasted 41 big flies. Despite 2017 not looking too good for the Brewers, they should be thankful to have a proven slugger like Carter. Finishing dead last in your division is never fun for any team, but the Reds have too good of a fan base and too rich of a history to land at the bottom of the pack. Their bright spot from 2016 was truly Adam Duvall going on a tear to hit 33 home runs, being one of their biggest power threats besides Jay Bruce, who went to the Mets midseason. But in addition to being thankful to have Duvall on their team, Reds fans should be thankful to have a deep farm system. With players such as Amir Garrett and Jesse Winker nearly ready, things should look up fairly soon in Cincy. For a team that had multiple injuries throughout the season, many of which were with their pitching staff, the Rangers obviously fared very well in 2016. With 95 wins, the Rangers won their division and should be setup nicely to do so again in 2017. Their division isn’t a powerhouse by any means, but with the Mariners nearly making the postseason in 2016 and the Astros looking to bounce back next season, things could get interesting in the AL Central. For that reason, the Rangers should be thankful to have the great team they do, assuming they all stay healthy. A couple of 20+ season postseason droughts have been broken over the past few seasons, including the Pirates and Blue Jays, but to say Mariners fans have been waiting awhile for a playoff appearance would be an understatement. To put things in perspective, Ichiro Suzuki had just 242 career MLB hits the last time Seattle was playing deep into October. However, Mariners fans should be thankful to finally see a playoff-caliber team put on display in 2016, with the likes of Nelson Cruz, Robinson Cano and Kyle Seager ready to lead the charge next year. Trades or signings can always bring great talent to a given team, and the pickups of Brian McCann via trade and Josh Reddick by way of a large contract should help give the Astros an extra boost in 2017. After making the playoffs in 2015, many things kept Houston on the outside looking in for 2016. But even so, the Astros should be thankful to have picked up two solid veterans who, when combined with the talent already on the Astros’ roster, should put Houston back in a nice spot. Most Angels fans would likely say they are most thankful to have two-time MVP Mike Trout — and generally agreed upon best player in baseball — on their team, but they shouldn’t overlook Albert Pujols. Though he gets his share of the spotlight, Pujols somewhat silently hit a team-best 31 blasts last season while recording his most RBI’s since 2009, and is now just nine homers away from 600 for his career. With those kind of numbers, the Angels should be thrilled to have Pujols producing big time at the plate alongside superstar Mike Trout. On a team that was 21st in baseball in terms of home runs hit, Kris Davis was one of the few bright spots for the Athletics last year. Hitting a career-high 42 home runs — good enough for third most in baseball — Davis exceeded the expectations many placed on him by a huge margin, and Oakland should be thankful to have a player of his caliber on their team. Though things aren’t looking up by anyone’s calculations for the A’s to be in contention much at all next season, Davis will likely be a huger power threat for yet another year. Let me get this out of the way: There is currently no pitcher in all of baseball on the same level as Clayton Kershaw. Though there are a few pitchers who dominate just as much as he does, there’s something special about Kershaw that makes him a once-in-a-generation talent. With that said, the Dodgers, as well as Kershaw himself, should be thankful to have top-notch pitching talent ready to go for 2017. Julio Urias and Jose de Leon have been the Dodgers’ top prospects for several years, but they should become among their top pitching options for years to come. After the Giants won the World Series in 2010, 2012 and 2014, people joked (to a serious extent) that they would once again win a title in 2016. They got off to such a great start, that by the time the All-Star game rolled around, more and more people began to get on board with the idea. But San Francisco proceeded to have one of the worst collapses in MLB history, barely making the postseason. But the Giants should be thankful that they make the postseason, especially given the fact that if they can improve even the slightest in 2017, they should easily be back again. The hitting is already in place for the Rockies. While playing at Coors Field in Denver helps pad their numbers a bit, they currently have several impact hitters such as Nolan Arenado, Carlos Gonzalez, D.J. LeMahieu and Trevor Story. But while their pitching has been somewhat subpar recently, former first rounders Jeff Hoffman and Jon Gray showed signs of major improvement, for which the Rockies should be thankful. If they can get any sort of momentum going in their rotation, anything is truly possible for Colorado. While anything is always possible, a scenario where the Diamondbacks have a worse rotation in 2017 than the one they produced in 2016 is hard to imagine. For that alone, the D-back’s and their fan base should be very, very thankful. From top to bottom, their starting rotation was atrocious, seeing them finish dead last in terms of team ERA with a collective 5.09 earned run average. With even their bright spots Zack Greinke (4.37 ERA) and Shelby Miller (6.15 ERA) doing poorly in 2016, look for a major turnaround from them in 2017. The Padres haven’t had all that much success in the recent history of their ball club. That was true once again in 2016. But they should be thankful to have players such as Wil Myers and Hunter Renfroe ready to lead their team in the coming years. After winning the Rookie of the Year in 2013 with the Rays, Wil Myers finally had the star year people have been waiting for, blasting 28 homers this season. Soon to join Myers in stardom appears to be Renfroe, who hit .371 with 4 homers and 14 RBI’s in just eleven games played last season. *Keep in mind, this list was (obviously) made far before the 2017 season was even close to commencing. Any listed player could sign with a team other than their current club, or get traded away, completely throwing off everything I said for that particular team. Although I had David Ortiz winning the award in my original predictions, I knew in my heart that it was a long shot, as he wasn’t even among the finalists when they were revealed. With that said, however, I can’t argue with Mike Trout taking home the honor, picking up the second MVP award of his young career. With his second MVP (his first came in 2014), Trout has now finished first or second in MVP voting for each of the full five seasons of his career to this point, joining Barry Bonds as the only other player to finish in the top two for five straight seasons. With his 29 home runs and 30 stolen bases, Trout also finished just one homer shy of becoming the first player ever to record two 30-30 seasons before age 25. Trout won the MVP by a fairly large margin, earing 19 first place votes and 356 points, beating out Mookie Betts and his 31 homers, earning him 9 first place votes, good for 311 points, with the .338 hitter Jose Altuve coming in third, with 227 points, despite no first place votes. (The other two first place votes went to David Ortiz and Adrian Beltre, getting one apiece). With the MVP award win, Trout looks to have all the makings of a Hall of Famer, beating the odds by winning the award on a losing team, which has proven to be no easy task in recent voting history. Despite being in the majors for such a short time, when you’re as good as Mike Trout is, many more MVP wins being in the future is nearly a guarantee. The American League MVP award went to a player who had already won an MVP in his career, being Mike Trout, but the National League portion was guaranteed to go to a player to never win the hardware. With Kris Bryant, Daniel Murphy and Corey Seager all being in their first time in the running, history was sure to be made. With that said, the voting wasn’t close. Bryant took home the MVP, doing so on the strength of 415 points and all but one of the first place votes. Coming after picking up the 2015 Rookie of the Year award in unanimous fashion, Bryant becomes the fourth player to win the MVP the season after winning R.O.Y., joining Cal Ripken Jr., Ryan Howard and Dustin Pedroia. Finishing in second place was Murphy, who received the other first place vote, totaling 245 points, with Seager getting 240 points and placing third. While the majority of the baseball world felt confident that Bryant would win the award, I’m not sure anyone thought it would be by a whopping 170 points, truly showing just how great of a season he had. Bryant blasted 39 homers this season to go along with his 102 RBI’s and 121 runs scored, marking off his season in the ultimate way, after helping the Cubs win their first World Series title in 108 years. Although Murphy’s .347 average to go along with 25 homers and Seager’s 26 home run rookie campaign were great, it was Bryant who was head and shoulders above the rest. With the Cubs finally seeming relevant once again, and Bryant breaking out as one of the game’s top superstars, Bryant should continue to be in the running for MVP in the foreseeable future. The stats of the top pitchers in the American League from 2016 were so close that it was a challenge to choose the player who was the very best. Their ERA’s were within mere decimals of each other, with many other statistics also standing very close to even. But Rick Porcello and his 22 wins wound up proving to be the most worthy of the Cy Young, as far as the voters were concerned, barely beating out Justin Verlander and his 3.04 ERA, who finished just five votes back of Porcello — the second closest margin since 1970. This also marked the second time in voting history that the player not receiving the most first place votes won the award. The close race between the two caused a bit of controversy around the baseball world, as despite the closeness of the final tally, Verlander winning 6 more first place votes wasn’t able to do it for him in the end (due in great part to him not being named at all on two ballots). Corey Kluber finished in third with his 3.14 ERA, with 3 first place votes and 98 overall points, with the favorite by many to win the entire award, Zach Britton, getting the other 5 first place votes and coming in fourth. Porcello went 22-4 on the season, recording a 3.15 ERA along that time. For that reason alone, he is definitely deserving. However, there are still a lot of people who don’t feel that way. A lot of people felt that Verlander was far more dominant that Porcello throughout the year, and I find myself agreeing with them. But it is what it is, and the focus here isn’t on Verlander’s extremely close loss (the second such of his career, with a 149-153 loss coming to David Price in 2013) but instead Rick Porcello’s deserving win. As hard as picking the winner was from the candidates in the American League, the National League was just as difficult. With Kyle Hendricks, Jon Lester and Max Scherzer all having very different cases for winning, choosing the one who stood above the rest wasn’t an easy task. Hendricks led all of baseball in ERA with a mere 2.13; Lester posted a great ERA of his own, at 2.44, to go along with 19 wins; and Scherzer struck out a stellar 284 batters, despite his 2.96 ERA being the highest of the group. But in the end, the voters went with Max Scherzer, and it wasn’t even close. Scherzer tallied up a total of 192 points, earning 25 first place votes, with Lester finishing runner up with just one first place vote and 102 points, leaving Hendricks coming in third with 2 first place votes and 85 points collectively. (The other two first place votes surprisingly went to Clayton Kershaw, who finished fifth in the voting). The deciding factor for Scherzer’s Cy Young win likely came down to his utter dominance. Although he had the highest ERA of the finalists, Scherzer posted an 11.2 K/9 rate this season over the course of 220.1 innings, including a 20-strikeout performance against his former team, the Tigers, this year. This marks Max Scherzer’s second career Cy Young award, joining him with Roy Halladay, Roger Clemens, Randy Johnson, Pedro Martinez and Gaylord Perry as the only other pitchers to win a Cy Young in both leagues. But if 2016 was any indication, Scherzer may not be done setting records. There may have been three finalists for the American League Rookie of the Year, but in the end there were truly only two frontrunners for the award, being Michael Fulmer and Gary Sanchez. Despite Tyler Naquin having blasted 14 homers in his first season, he didn’t compare statistically to the two aforementioned rookies. But despite narrowing the running down to two star players, that’s where the easy decisions ended. No one seemed to agree upon whether the R.O.Y. should go to Sanchez or Fulmer, but there truly was no bad choice. They each were very deserving. However, it was Fulmer who ended up winning the award. Earning 26 of the 30 first-place votes, Fulmer tallied 142 points, and was the only player named to every single ballot cast. Sanchez placed second with his 91 points (earning the other 4 first place votes), leaving Naquin in third with 20 points. Although Fulmer began to tail off a bit towards the end of the season, his 3.06 season long ERA over the course of 159 innings pitched proved to be more impressive to the BBWAA than Sanchez’s 20 HR in just 53 games. That larger sample size was likely what helped push Fulmer over the edge, joining him with the likes of Justin Verlander — the last Tigers’ pitcher to win the Rookie of the Year. Only time will tell if Michael Fulmer will turn out to have the same level of success as his Tigers teammate. Unlike the American League side, the National League portion wasn’t all that difficult of an award to predict the winner of. The heavy favorite to win the Rookie of the Year before the season even began, Seager took home the honor in unanimous fashion, following in the footsteps of Kris Bryant, who did so in 2015. Seager becomes just the 21st player in history to receive all thirty first-place votes to win the R.O.Y. award, earning him a total of 150 points. The runner up for the award was Trea Turner, who racked up 42 points, followed by Kenta Maeda, who received 37. Despite Turner hitting .342 on the season, and Kenta Maeda posting a good 3.48 ERA in his rookie campaign, no one could come close to stopping Seager from making his name as the 17th Rookie of the Year winner all-time for the Dodgers, who now have a R.O.Y. winner at every position except third base. Seager’s 26 home runs and 72 RBI’s this season, in which he played in all but five games, made him the easy choice for Rookie of the Year. His 193 hits also mark the most for a rookie since 2001, adding yet another standout statistic to his rookie campaign. But while his rookie season was unbelievable, many see Corey Seager only improving. The 2016 Silver Slugger award winners were announced Thursday night on MLB Network. While the Gold Glove Awards given out on Tuesday focused on the defensive side of baseball, the Silver Slugger awards are given annually to the best offensive player at each position in both the American League and the National League. 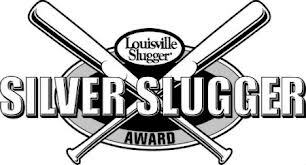 Marking the 37th annual Silver Slugger awards, which began in 1980, the awards are voted on by the coaches and managers of Major League Baseball (managers can not vote for their own players), with voters considering several offensive categories in selecting the winners. Those categories include batting average, slugging percentage and on-base percentage, in addition to coaches’ and managers’ general impressions of a player’s overall offensive value. Most Silver Slugger Awards: Barry Bonds holds the record for the most Silver Slugger Awards as an outfielder, with twelve. For Mike Trout, it was business as usual on Thursday, as he won his fifth career Silver Slugger award — having done so in all of his full seasons in the big leagues. For the other five winners, they were all first-timers, as Charlie Blackmon, Christian Yelich, Yoenis Cespedes, Mark Trumbo and Mookie Betts each took home their first career hardware for their hitting. Most Silver Slugger Awards: Miguel Cabrera holds the record for the most Silver Slugger Awards as a first baseman, with seven. Miguel Cabrera further increased his lead in regards to number of Silver Sluggers as a first baseman, winning his seventh in his Hall of Fame career. On the other side, World Champion Anthony Rizzo won his first Silver Slugger award for his career, but he very well could win several more before all is said and done. Most Silver Slugger Awards: Ryne Sandberg holds the record for the most Silver Slugger Awards as a second baseman, with seven. After the seasons that both Daniel Murphy and Jose Altuve had, it was no shock to see them win the Silver Slugger award. Murphy picks up his first, while Altuve takes home the honor for the third time in his career. Whether they can each keep up their amazing 2016 season into 2017 is yet to be seen, but more Silver Sluggers could be on the horizon for them. Most Silver Slugger Awards: Wade Boggs holds the record for the most Silver Slugger Awards as a third baseman, with eight. Nolan Arenado is going to go down as one of the best all-around third basemen in history when all is said and done, further adding to his career resume with his second career Silver Slugger. Josh Donaldson also picks up his second award, doing so by having a year much like his MVP-winning season in 2015. Most Silver Slugger Awards: Barry Larkin holds the record for the most Silver Slugger Awards as a shortstop, with nine. The future appears to be bright at the shortstop position, as Corey Seager and Xander Bogaerts look to be the top players at those positions for quite some time to come. Although anything can happen in the future, them each winning many more Silver Slugger awards seems very likely. Most Silver Slugger Awards: Mike Piazza holds the record for the most Silver Slugger Awards as a catcher, with ten. Both Wilson Ramos and Salvador Perez picked up their first career Silver Slugger awards, but each have had plenty of great seasons to this point in their careers. However, they took things to another level in 2016, making them each extremely deserving of the award win. Most Silver Slugger Awards: Mike Hampton holds the record for the most Silver Slugger Awards as a pitcher, with five. Pitchers are generally known as the worst hitting players on any given team’s roster, but there are a few of them who can actually swing the bat fairly well. One of those such players is Jake Arrieta, who can really put on a show at times throughout any given season, in addition to being one of the best pitchers in the game. Most Silver Slugger Awards: David Ortiz holds the record for the most Silver Slugger Awards as a Designated Hitter, with seven. In his last season before retirement, David Ortiz had one of his best overall seasons of his career. At age forty, Ortiz posted numbers that would be considered amazing for someone even half his age. With him no longer going to be the designated hitter for the Red Sox, it’s fitting to see him go out with one final Silver Slugger win. The 2016 Major League Baseball Gold Glove award winners were announced Tuesday night on ESPN. Given out each year to the players who are judged to have exhibited superior individual fielding performances at each fielding position in both the National League and the American League, the award is voted on by the managers and coaches in each league (managers can not vote for their own players). Marking the 60th annual Gold Glove Awards, which began back in 1957, there have been some terrific players to receive the honor. However, no other player has won more Gold Gloves in their career or in a row than Greg Maddux, who took home 18 total and 13 consecutively. Salvador Perez picked up his fourth Gold Glove award, and rightfully so. His defense behind the plate has proved to be extremely valuable over the past several seasons, and he could easily win several more before his career is over. In the National League, despite Yadier Molina having won eight straight Gold Gloves, this year the award went to Buster Posey, who picked up his first ever Gold Glove. Pitchers aren’t generally known for being good fielders, but there are a number of them who can pick it. Dallas Keuchel and Zack Greinke each won their third career Gold Glove awards on Tuesday night, with each having proven their defensive worth in 2016. While they aren’t near Greg Maddux’s record number of Gold Gloves, they each are very deserving of the honor. It came as a surprise to many that Brett Gardner was able to win his first career Gold Glove award, but his defense in left field for the Yankees was terrific this season and certainly worthy of the award. In the NL, Starling Marte truly broke out as one of the best left fielder in the game, taking home his second career Gold Glove award for the Pirates. Jackie Bradley Jr., Kevin Kiermaier and Kevin Pillar were all absolutely amazing this season for their respective teams, making great plays night after night. But in the end, Kiermaier ended up winning the Gold Glove. Picking up the award for the opposite league was Ender Inciarte, who went from a somewhat unknown to a breakout player defensively in 2016. Despite his teammate, Jackie Bradley Jr., not winning the Gold Glove for center field, Mookie Betts was able to win his first career G.G. award for his play in right field. Also getting the award was Jason Heyward, who had a down year offensively, despite his huge offseason contract, but continued to dazzle with his glove, catching nearly every ball hit his way this season. Both Mitch Moreland and Anthony Rizzo picked up their first career Gold Glove awards on Tuesday night, and both were very deserving. Although known more for their offense more that their defense, they each can pick it at first, and make key plays for their teams throughout any given season. While both are unique players, they each share the honor of winning a Gold Glove. Although nothing beats watching Robinson Cano make a smooth play each night at second base for the Mariners, seeing Ian Kinsler make the great plays he does each season is a close second. Picking up the first Gold Glove of his career, Kinsler will look to maintain his defense into 2017. 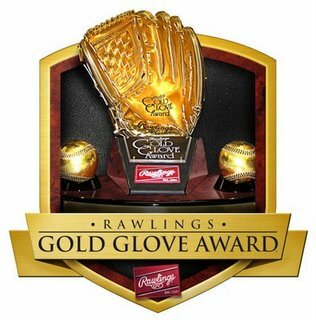 Joe Panik also wins his first Gold Glove award of his career, also making him a big player to watch moving forward. Francisco Lindor truly emerged onto the scene in 2016, becoming a household name and subsequently winning the first Gold Glove award of his career, and the first for an Indians shortstop since Omar Vizquel in 2001. Over in the National League, Brandon Crawford wins his second straight Gold Glove and has cemented himself as one of the best in baseball. The future Hall of Famer, Adrian Beltre, was able to win his fifth career Gold Glove award for his great performance all season long at the hot-corner in Texas. But the player who may turn out to be one of the top few third basemen defensively of all-time when all is said and done is Nolan Arenado. With the great plays Arenado makes each day, it’s no surprise to see him win the award for the fourth time in his career.